By Grace Nordquist–From Sunday, March 31-Wednesday, April 3, Sun Tan City offered free spray tans to anyone who visited the website and claimed their offer. All you had to do was simply fill out your information, and either receive a text or an email. They claimed customers would be on their way “to achieving that perfect sun-kissed glow” according to their website. So what’s the catch you may ask? I decided to find out for myself. On Wednesday, April 3, I decided to claim my free spray tan. It’s free, so why not? Two of my friends, Suzanna Gonzalez and Carly Johnson – both Morningside seniors – also decided to take up the offer. Morningside sophomore, Mo Voller, tagged along for the ride. After filling out our email addresses, phone numbers, zip codes, and consenting that we were all at least 18 years old, we got our offer on Sun Tan City’s website for a free spray tan. All three of us received texts. When we got to the salon, we each went to a different cashier where they viewed our offers and got us started. I have never gotten a spray tan so my consultant discussed what would happen, made me fill out a new customer form, and gave me an application to help match my skin tone. What happened next caught us all off guard. The consultants showed us three different products we needed for the spray tan. First was an exfoliating product that you use before getting the spray tan. This opens all your pores, preparing for the base tan. The second product was a glove we used to apply a cream, ensuring that the spray tan went on evenly. Finally, there was a product intended for use after the spray tan so it would last longer. After they explained how the products worked and how to apply them, they rang up our “orders” for $24.38. “Wait I thought they were free?” was my exact response to my bill. As it turns out, the spray tans themselves were free, but the products you “have” to use, not so much. This is the catch. We were all already there and committed so there was no turning back. I gritted my teeth and bought the $24.38 worth of products. Then a consultant brought us to a room to show us how the spray tan would work. After explaining the hair nets, barrier cream (to keep your hands from turning orange), the different positions you had to stand, and the cycles, we were ready to go. After a brief wait, they guided me to my room. Once I exfoliated and put on my products, barrier cream, and hair net, I was good to go. The suntan itself was pretty easy. You stand in the machine while a pre-recorded voice tells you what poses to hold and when the spray is starting. Overall, the spray tan process went well. The positions were a little funny – reminding me of a dance move from Michael Jackson’s “Thriller,” but whatever it takes for that even glow, right? They informed me to wait six-eight hours before showering. The only bad thing was it was raining and I wore shorts- oops. After we were all done, my friends drove up to the entrance so my new spray tan wouldn’t start streaking down my legs. At first, I didn’t notice a huge difference in color, but then about an hour later it started to set in. I was definitely turning a slight orange. After getting off work at nine, only four hours after the spray tan, I didn’t think I should shower so I went to bed. My mistake, I didn’t shower first thing in the morning either. The next day my face was noticeably orange. I was looking a little like an oompa loompa from Charlie and the Chocolate Factory. After showering, it looked a little better but still not quite as natural as I had hoped. Over the next few days, mine and the other two girls’ spray tans started to fade and look more natural. Soon after, they started to almost “peel” off like a sun burn. I noticed after shaving my legs, most of the spray tan came off (yes, I put my post spray tan lasting product on like I was supposed to). 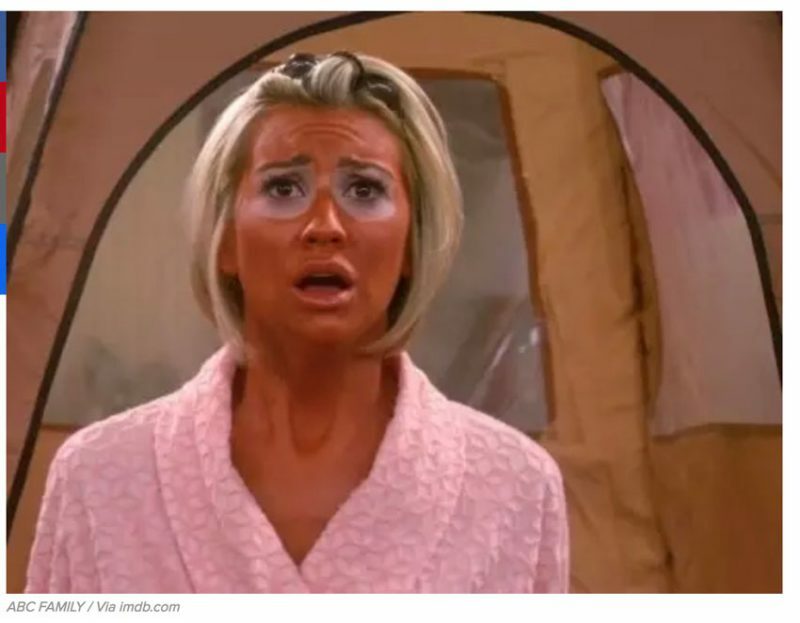 Overall, I know spray tans are better for you than tanning beds or the sun but they’re just not as natural. It might be a quick way to get tan, but I’ll stick to natural, bed tanning, or just being pale. Also, if Sun Tan City says something is free, there’s probably a catch – so be ready for it.